Wang Laboratories was a computer company founded (with $15000) in 1951 by Dr. An Wang (1920-1990). 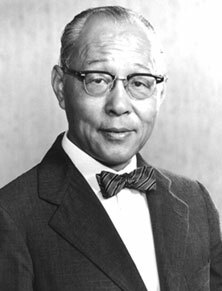 An Wang emigrated from China in 1945 (he became a US citizen in 1954) and had gotten Masters and Ph.D. degrees in applied physics in 1948 at Harvard. Wang later made some key inventions in the development of core memory technology and pulse transfer controlling device (implemented in Whirlwind computer) and floppy-disk drive. At its peak in the 1980s, Wang Labs had annual revenues of $3 billion and employed over 33000 people. By the mid 1960's, Wang Labs had already made a name for itself in building a series of increasingly sophisticated electronic calculators, such as LOCI, the Wang 300 and 700 families, and many derivative products. Seeing that calculators were getting cheaper and developments in LSI technology would soon make them a commodity item, An Wang decided to develop a general purpose computer. After several failures, finally he found success with the Wang 2200 computer. Within three years, Wang had sold more than 10000 of the machines (some 65000 systems were shipped in its lifetime), a remarkable success. The first Wand 2200 was shipped in May, 1973. Over time, various kinds of peripherals were developed, and enhancements were made to Wang BASIC with new microcode. Build before the era of the microprocessor, the Wang 2200 processor was built using a couple hundred TTL chips spread over half a dozen boards, and housed in a heavy steel box. 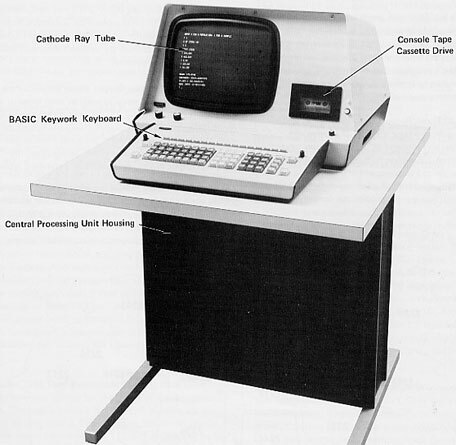 It had a capable BASIC interpreter (written in microcode, there was no machine code that a user could access, unlike microcomputers that would come years later), meaning it could be turned on and used within seconds. The 64x16 cathode ray tube (CRT) display made editing and running programs interactive and immediate, in comparison with the then-standard method of studying printouts on green bar paper. The 2200 was also expandable; eventually nearly 100 different peripherals were developed for the system. Over the years, the 2200 evolved to a desktop computer with an ever-more powerful BASIC dialect, to accommodate multiple users simultaneously, to support up to 16 workstations and utilized commercial disk technologies that appeared in the late 1970s and early 1980s. New models were produced for nearly 20 years before Wang ended development.